First time buyers – Geoffrey Lurie Conveyancing Solicitors Gosforth Newcastle upon Tyne, is one of the leading firms of conveyancing solicitors in Newcastle. We have helped many generations buy property and move in to their new home without stress or fuss. We go back over 60 years helping people move and buy their first home! Buying property is probably one of the biggest financial commitments you will make. The Geoffrey Lurie Solicitors’ Newcastle upon Tyne conveyancing team will provide you with all the legal advice and expertise you require to de-stress your move! Our conveyancing team have huge local knowledge of the market in the Newcastle upon Tyne area, and beyond. That local and national experience is crucial when providing you with advice and assistance to ensure a quick completion. – We will tailor our communications with you suit your needs – telephone, email, post, even text! With so many different parties involved, it can be really confusing to know who to follow or engage with. There’s the buyer, the buyer’s solicitors, the seller, the seller’s solicitors, the estate agent, the mortgage lender and sometimes even a mortgage broker. It’s understandable why people often become nervous and sometimes, unclear on what to do. Sometimes you may receive conflicting stories. The golden rule is to always follow the advice of your property solicitor. Not only are you paying them, but the Solicitors’ Regulatory Authority (SRA) imposes strict rules on solicitors professional conduct. Among these rules is the absolute requirement to act in the best interests of a client. A reputable conveyancing solicitor is critical to the process. In 2011 a conveyancing quality mark known as the Law Society Conveyancing Quality Scheme, or CQS for short, was introduced. CQS helps you identify a good conveyancing solicitor as CQS members having to undergo annual audits and assessments. It is advisable to use a property solicitor working for a firm accredited with CQS. 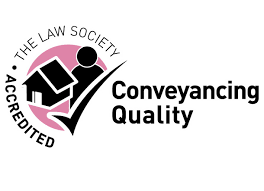 This will give you the confidence to know that the conveyancing / property work will be conducted at a high standard, as set by the Law Society. We at Geoffrey Lurie Solicitors are proud to have the CQS Accreditation. Once you have found a CQS accredited firm, check if there is a specialist who will be responsible for your matter. Whilst a multi skilled lawyer is good for general work, when it comes to spotting potential conveyancing issues select a specialist who will root out even the teeniest of problems. Ask how many first time buyers they have dealt with in the last 6 months? A first time buyer solicitor will offer you the service you need. Never be afraid to ask your lawyer to explain matters where you do not understand them. You are paying for legal representation for a process that can be stressful and complicated. One of our experts says “buying property is often the largest investment you will ever make – why would you economise or compromise on the legal process? I have had clients come to me for solutions after having been seriously let down by their conveyancing solicitor. When I ask them why they didn’t choose a CQS accredited law firm in the first place, they say they didn’t know about it, and thought all property lawyers did the same work. But the number one reason is that they offered a cheap service”. With first time buyers, the reasoning understandably is to keep costs down. Whilst we urge clients to be sensible with costs, when it comes to professional service providers, bargain hunting is not the best approach. It is extremely unlikely that you’ll find a conveyancing solicitor that is very cheap and at the same time very good. Usually, if the fees are very low, the service level will be too. Remember the old adage: “You get what you pay for”. There are providers out there that offer very cheap conveyancing referred to as conveyor belt / factory / sweat shop, style conveyancing firms. Their business model essentially involves doing volume conveyancing at very low cost. In other words they make very small profit from each file resulting in the process becoming a numbers game on a ‘conveyor belt’. Cost is the driving factor in these types of firms, not quality. This can mean that someone who is under-qualified, junior, and / or incompetent has the legal responsibility of buying your property for you! To make matters worse, the work is done under extreme pressure with the objective of achieving ‘sales targets’ so the propensity to make mistakes is generally much higher. Whilst you think you may be bagging a bargain today, the true impact and any mistakes made during the conveyancing process may not be revealed until much later – perhaps not until such time as you yourself want to sell the property, by which time it may be too late for any serious problems to be rectified. Your money and your stress levels will be in the hands of your chosen advisor for the time it takes for the purchase to be completed. Their personality and temperament is key. You must be comfortable to just pick up the phone when needed and express your concerns with confidence. Do they put you at ease and explain matters properly? Are they patient? And do they understand your concerns? On the subject of mortgages, ask your solicitor if the firm is a panel member for the lender you intend to use. A conveyancing solicitor will often be conducting work for both you and your lender. However, the work for the lender can only be done if the firm is a member of that panel. If not, you may find the solicitor will outsource the lenders work to another law firm which may result in you paying higher or two lots of fees. Some law firms are not even owned by lawyers but by non-legally trained business people i.e. people who do not understand the law. It is therefore worthwhile enquiring about the level of indemnity insurance cover in place and how many years experience the person working on your matter has. Whilst most good property solicitors and conveyancers will act diligently from time to time mistakes do happen. If things go wrong, you will need the benefit of a law firm’s indemnity cover to protect you from any losses caused by the solicitor or the law failing to protect you. Look at the firm’s website. It may tell you a lot about the firm itself and the quality of work and service it offers. Ensure that you look out for the firm’s testimonials as this will give you a good insight into the service provided as well as the experience of others who have previously gone through the process themselves. You could even conduct a Google search asking for reviews to see what results show. 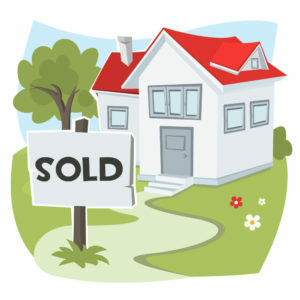 Buying a property is one of the most important decisions you will make in your life. However choosing your property solicitor wisely can be the difference between ‘make or break’ so choose wisely. For further advice on buying your property, please contact our Conveyancing Manager Gail Howe who would be delighted to hear from you, give you a quote and answer any questions your may have, telephone 0191 466 1444, email advice@geoffreylurie.com or contact us here.